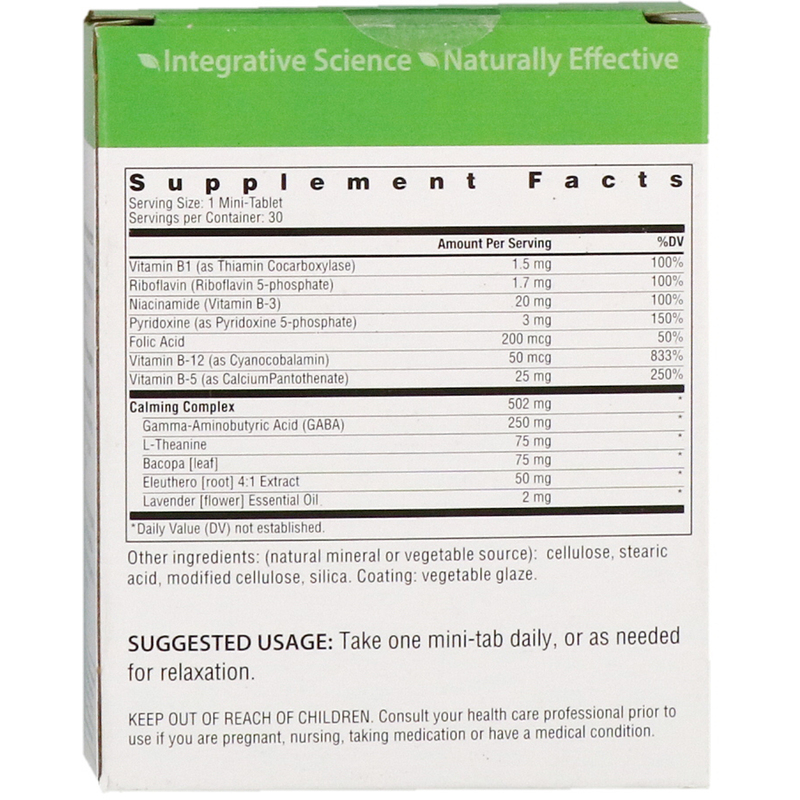 Restore total-body wellness, safe for everyday use and gentle on the stomach. Made with natural, purity tested ingredients and No artificial preservatives, colors, flavors or sweeteners. Help release stress, anxiety and tension featuring L-theanine and GABA, researched for effect on a healthy stress response and to maintain cortisol balance. 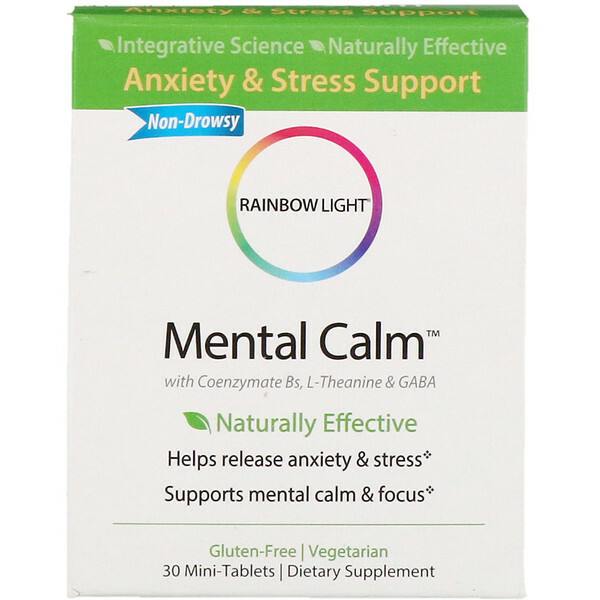 Support mental calm and focus with complementary coenzymate B's to nourish and balance the nervous system, plus bacopa, skullcap and eleuthero, botanicals traditionally used to calm nerves, support mood and clear mental focus. Take one mini-tab daily, or as needed for relaxation.